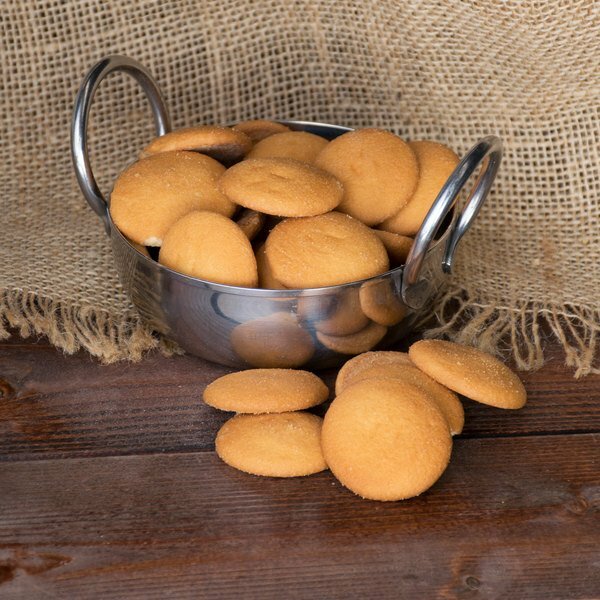 Provide an irresistible snack or dessert topping that your guests know and love with this Nabisco Nilla wafer cookies 2 lb. bag! The wafers feature an enticing, golden coloring and subtle, vanilla flavor that adds just the right amount of sweetness and crunch to delectable treats. 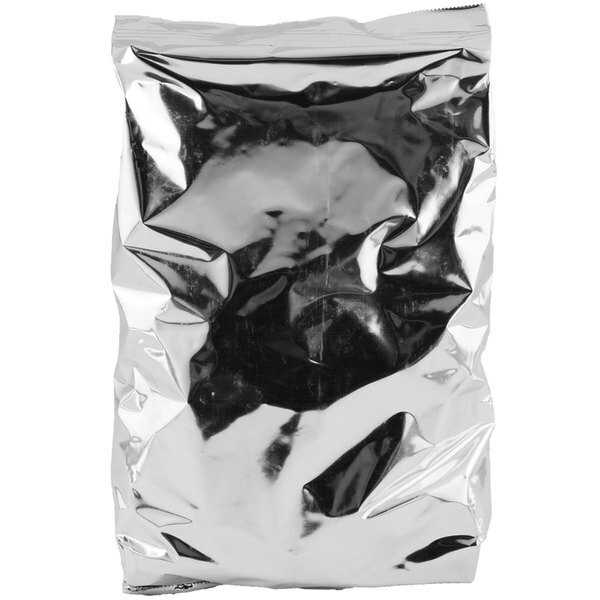 Use them whole to decorate cakes or break them up and sprinkle them onto ice cream sundaes and puddings. 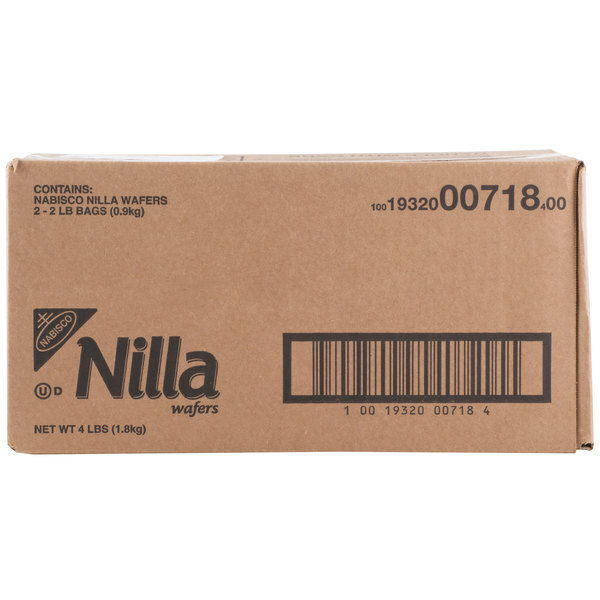 These Nilla wafers satisfy the sweet tooth and the urge to be healthy by having 0 grams of trans fat per serving. Use them to expand your menu selections by offering profitable vanilla wafer pies and cake bites. 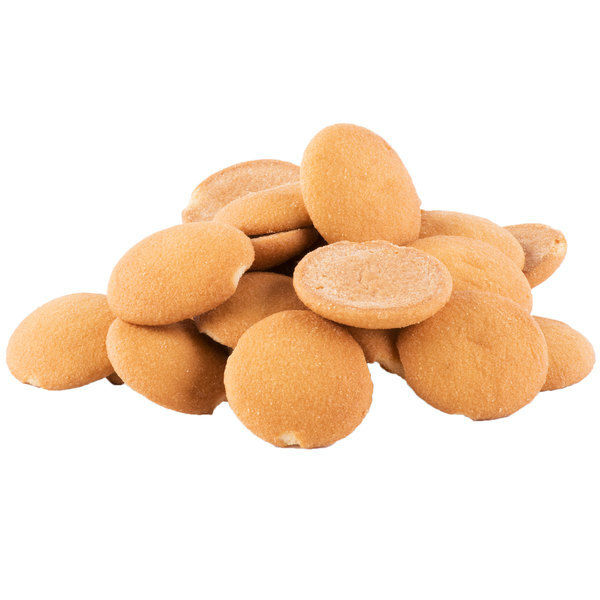 No matter what you're creating, these Nilla wafers are sure to be a popular hit in any bakery, restaurant, or ice cream shop. 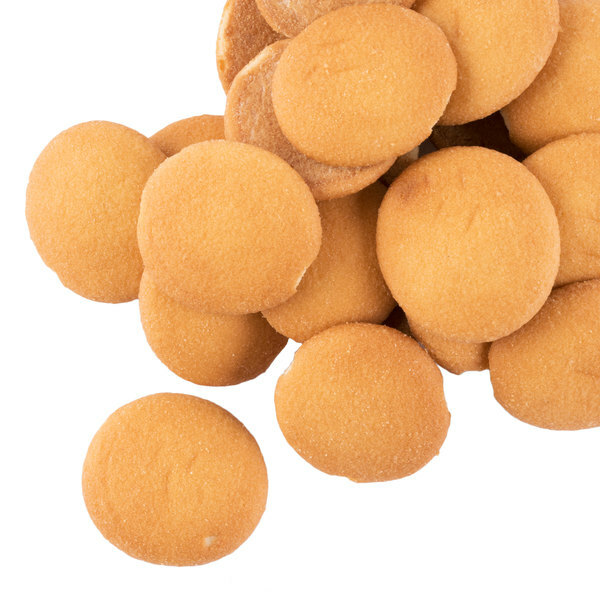 Nilla wafers remind me of childhood with the gentle vanilla taste and melt in your mouth texture. They make a great pie crust! This is a great case price for a tasty cookie! The Nabisco nilla wafer cookies are sweet and delicious. They are perfect for making our banana puddings and the cookies are a nice snack for our kids. These sweet little cookies are light and tasty. They're perfect served on their own, in banana pudding, or as part of your own sweet creation. Nabisco Nilla Wafer Cookies are a sweet and tasty treat all by themselves. Of course, if you top them with chocolate or add them to banana pudding, they're even better. So many different ways to serve up this delicious treat. Nabisco Nilla Wafer Cookies are lightly sweet and crunchy. They're great snacks by themselves, but, are also wonderful when used in desserts, such as banana pudding. When I was a child, we used to use them to make a treat called "Snow On The Mountain". We dipped them in melted chocolate and then in coconut. It was a great treat. With something as versatile as this, you can make your own new favorite treat. Nilla wafers are so addicting they are hard to stop eating. We use these to mix into a banana flavored ice cream and it compliments it perfectly. These Nilla Wafer cookies are so delicious! Put them in the food processor to crush them and they are great to add to your banana pudding recipe. Nabisco nilla wafers are the best! And 2 pounds of them is even better especially for this price! They come freshly sealed and when i received mine they were all pretty much perfect and not crunched up. Love the pricing and these cookies! Arrived perfect. Hardly any were broken. They were packaged safely. Love using these for banana pudding or cupcakes. Will buy again! As a kid , I loved choking down on these cookies. As an adult I discovered that covering them in Nutella is even better, mmhmmmm . Now that's a treat for sure. Grew up with these as a child and use them still to this day. Great as a crust, obviously in banana pudding, and so many more applications. Stays fresh for a long time. So good! The Nabisco Nilla wafer cookies is the best topping for our banana pudding filled donuts. The wafers are delicious and very fresh. A great quality cookie. Love the great flavor and texture of Nabisco's nilla wafer cookies. Great for making dessert and adding to ice cream and yogurt. Great bulk buy. A nice bulk case of Nabisco nilla wafers that make a great cheesecake crust. The cookies are very fresh and taste great. A nice baking cookie.